Housed in a historic Grade II listed Elizabethan coaching inn, The Swan At Tetsworth boasts more than 40 showrooms of the finest quality English, French and country furniture from the 17th century to collectors items. Every day dealers are bringing in new and exciting pieces. We also house an exceptional range of smaller decorative antiques including jewellery, pottery, fine porcelain and objects of virtue. 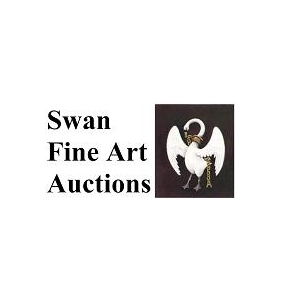 As well as being a successful retail centre, we also hold monthly auctions and quarterly selected fine art auctions. Our auctions are held the first Thursday of each month commencing at 12 noon. Our friendly and professional staff are always available to offer help and advice. We offer a comprehensive search facility for locating particular antique items. If you would like to view our whole collection, we are based in Oxfordshire, only one hour from London and 5 minutes from Junction 6/8 of the M40. ANTIQUES & INTERIORS SALE TO INCLUDE A LARGE PRIVATE COLLECTION OF GOOD ANTIQURIAN BOOKS, FURNITURE, JEWELLERY, PAINTINGS, CERAMICS, SILVER.